Both Sharp and LG recently met Apple's quality standards and began shipping the company small volumes of iPad Retina displays, according to a new report. Both Sharp and LG Display originally failed to meet Apple's requirements for the new iPad. But those issues were recently resolved, according to DigiTimes, and shipments to Apple have begun. Both LG and Sharp are now poised to ramp up shipments in the second quarter of calendar 2012. That's set to coincide with a "significant increase" in new iPad shipments, the report said. The increase in production will accordingly trickle down to the rest of Apple's supply chain, as backlight unit makers for the Retina display, such as Radiant Opto-Electronics, are also expected to see their revenues grow significantly in the second quarter. Earlier this week, it was said that Sharp was the first of the two to begin supplying Retina displays for Apple's new iPad. At the time, it was said that LG had yet to meet Apple's standards. But an earlier report from Reuters claimed that LG was, in fact, already supplying Apple with iPad Retina displays. It made no indication as to whether Sharp had entered the supply chain for the new iPad. While there's been a considerable amount of confusion as to the roles of LG and Sharp in building Retina displays, reports have consistently confirmed that Samsung has been the primary supplier of high-resolution screens for the new iPad. One report from earlier this month went as far as to say that Samsung was the sole supplier of iPad Retina displays. Samsung's supply of Retina displays was confirmed last week in a teardown of the new iPad, revealing that the Korean company had built the screen for that particular model. There has been no such evidence of Retina displays from LG or Sharp as of yet. The new Retina display has been particularly difficult for Apple's partners to manufacture, as it packs in 264 pixels per inch onto the 9.7-inch touchscreen. 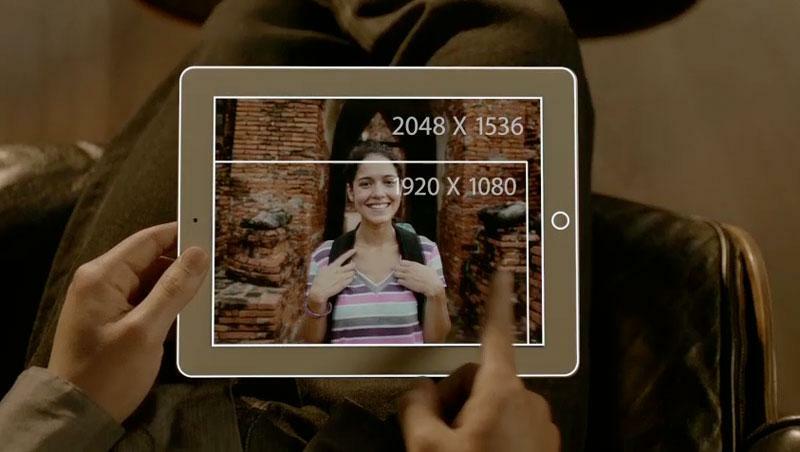 That gives the new iPad a larger number of pixels than a 1080p high-definition television set.